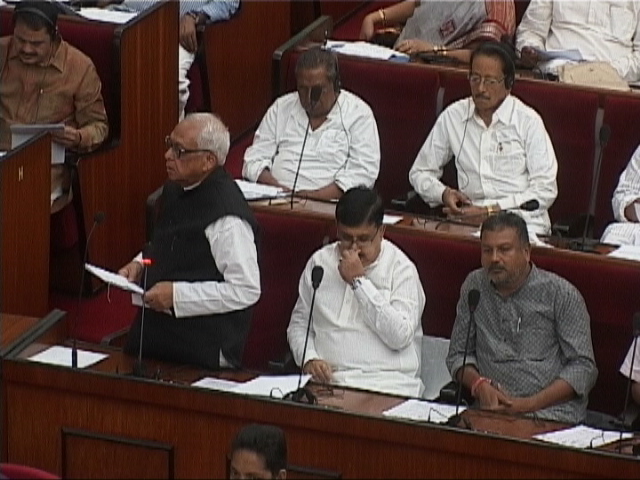 Veteran Congress leader and Leader of Opposition, Narasingha Mishra has launched a scathing attack on Odisha CM Naveen Patnaik, saying he is a ‘Hero’ outside, but has turned out to be a ‘Zero’ inside the assembly. “The manner in which Naveen Patnaik gave his statement outside the assembly following its adjournment sine die yesterday, was unfortunate and condemnable. He never paid heed to our repeated requests to give his statement in the House. But, he preferred to read a written text before the media outside the Assembly”, said Mr. Mishra. “The Leader of the House avoided attending the all-party meeting and when he finally did at the end, he did not utter a single word and maintained a stoic silence, ignoring our presence. People of the state must wake up to understand such a leader,” said Mishra. “By his action and attitude, he is trying to become a ‘Hero’ outside the Assembly although he proved himself as a big ‘Zero’ inside,” alleged Narasingha Mishra.